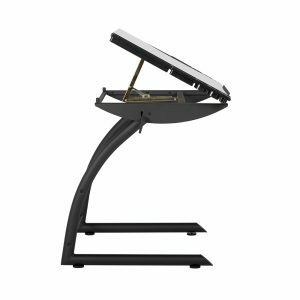 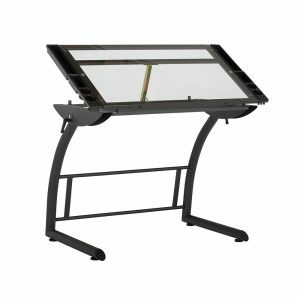 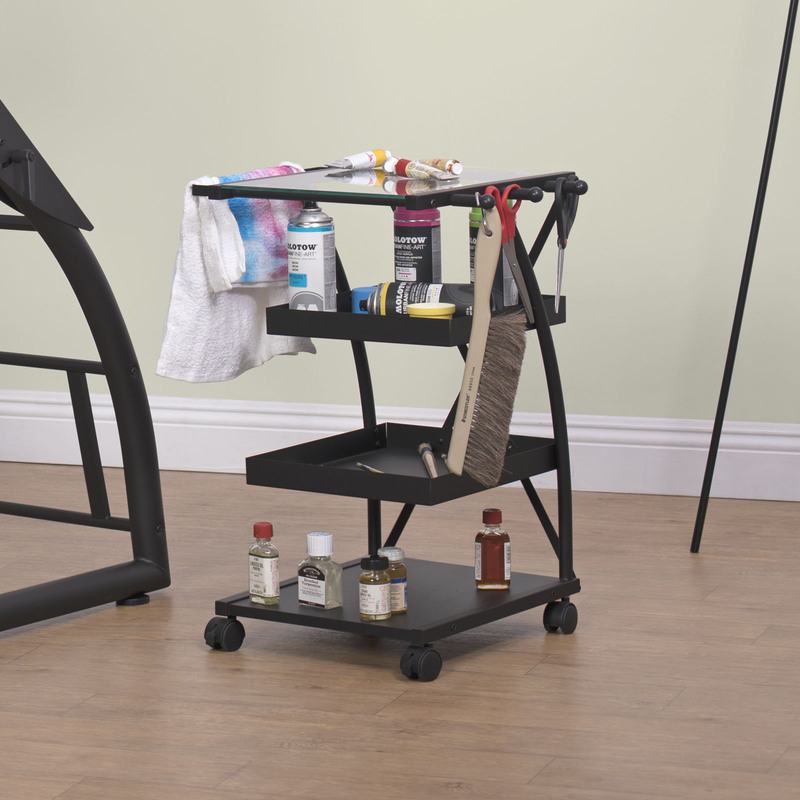 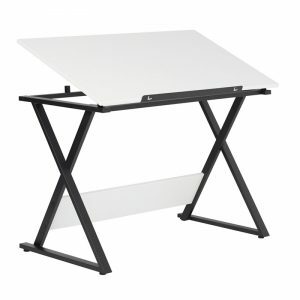 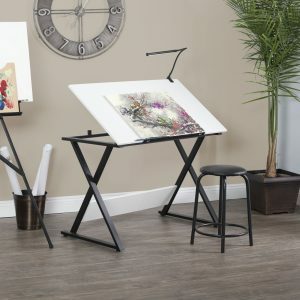 The Triflex Taboret features various storage options for your art tools. 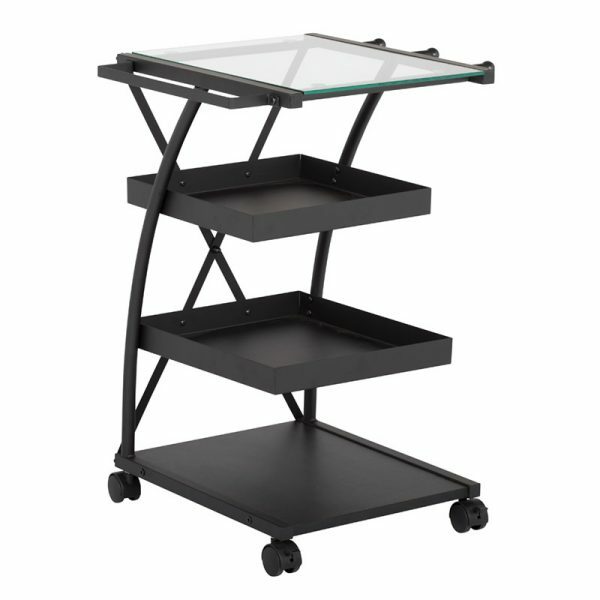 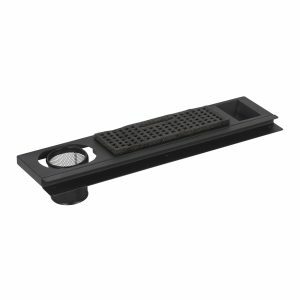 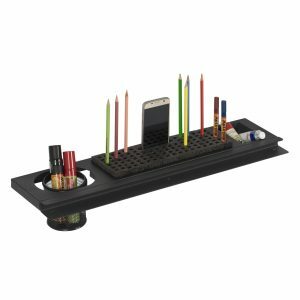 The top glass shelf is easy to clean and allows you to see the items below. 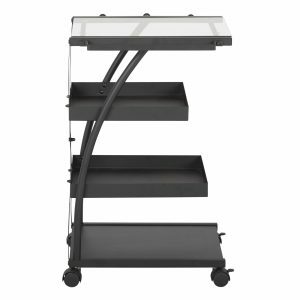 The two middle shelves feature a 1.5” tall side walls to keep items from rolling off while moving the taboret. 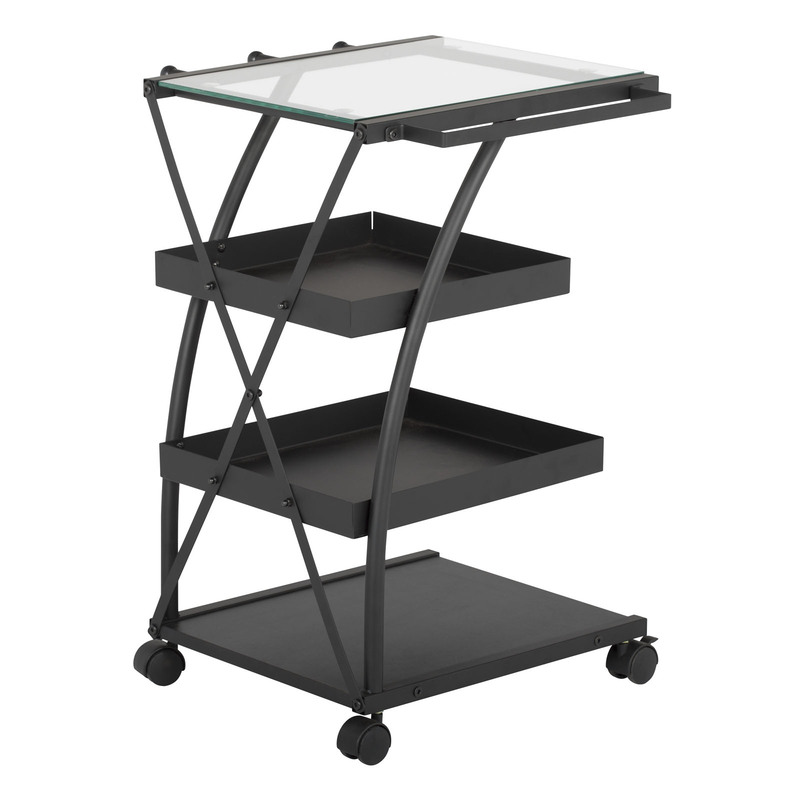 The bottom shelf is made of durable laminate to handle heavier items. The sides of the top shelf have 3 pegs for hanging supplies or a towel bar for added versatility. 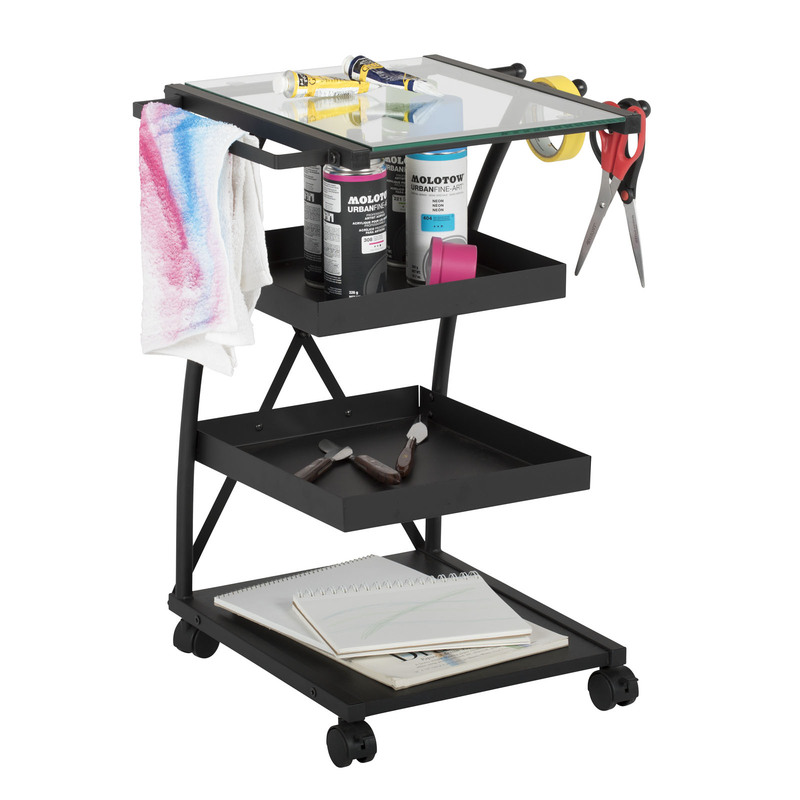 The casters on this storage unit allow your art supplies to follow you and your art projects from room to room.